Image: Clive Brunskill/Getty Images Europe. 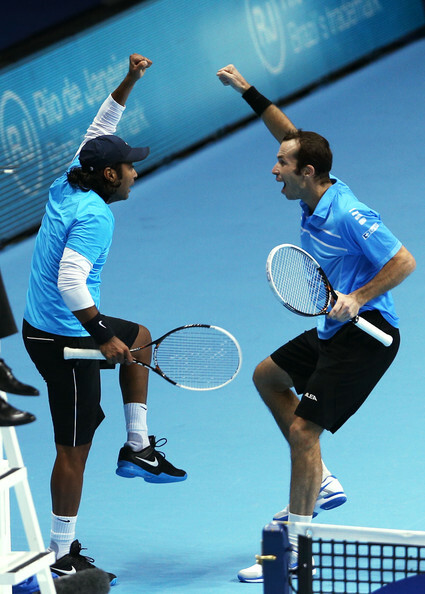 Leander Paes & Radek Stepanek broke out a complex victory celebration during their qualification match for the semis of the ATP Tour Finals yesterday. At this point we should probably just be grateful it doesn’t include clothing removal or Gangnam references. Or worse still, both.